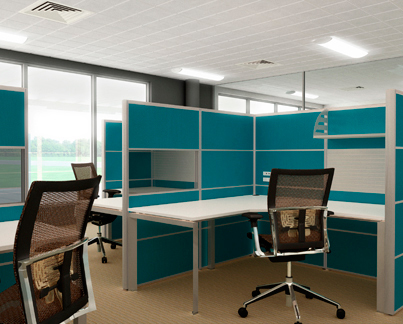 Office furniture fitouts, office fit outs, design and project management by Kelly's Commercial Fit out Service in Dee Why and Brookvale Sydney. Contemporary fit outs, stylish and functional, these are the office fit outs that our Commercial division of Kellys Office Furniture Sydney specialise in doing.Fitting out new or existing space, we have the office ideas, design team and skills to bring your office to life. 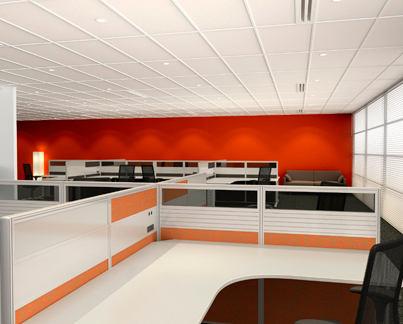 We are a the best Sydney based company that specialise in office fitouts including design and project management, office furniture, office workstations, custom joinery, office partitions, office construction. We also offer great designs in all types of office furniture, from custom office joinery and office kitchens to furniture manufactured to your requirements. 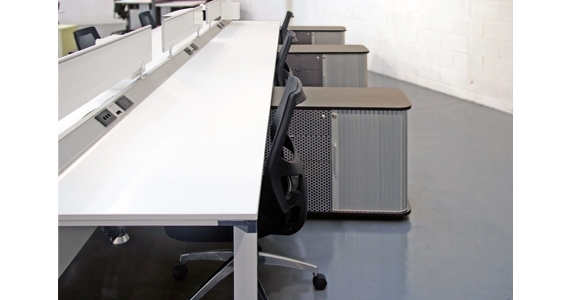 Our commercial furniture range includes workstations, reception counters, boardroom tables and chairs, store walls, workstation screens and more. Kelly’s Office Furniture have over 20 years experience in commercial office settings and, our innovative solutions will maximise the efficiency of your workspace and create a vast impression of your modern office. 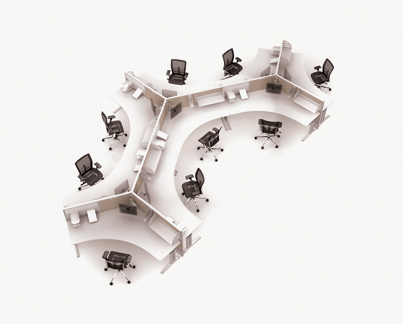 PRONTO 1 are available in many different configurations to suit your individual office needs. 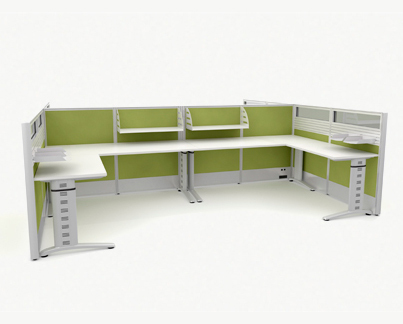 PRONTO 1 Workstations come ina range of set sizes and colours and offer a Quick Ship set sized screen panels to suit in a limited range of stock colours. 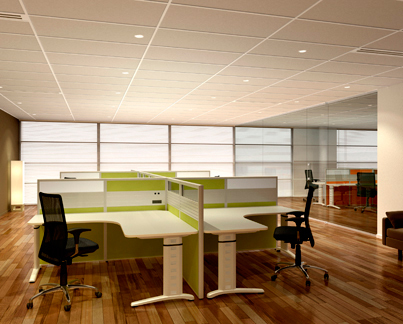 The PRONTO 1 Range is an excellent choice if time is limited for your office fit out and can be supplied with short Lead Time. The Range includes Executive Style corner desks and Straight desk options for a Matching design throughout your office space. 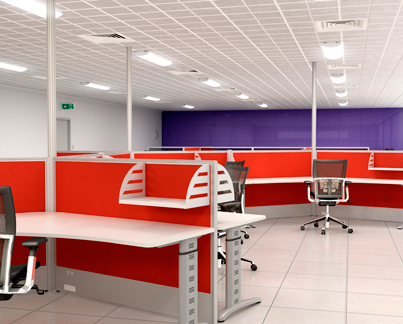 The PRONTO 1 Range can also be customised to match your office colours and finishes if required. 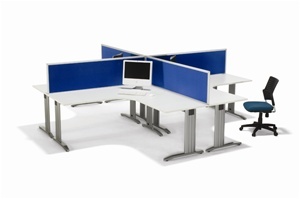 Please contact Kelly's Office Furniture for and Obigation free measure and quote to suit your individual requirements. 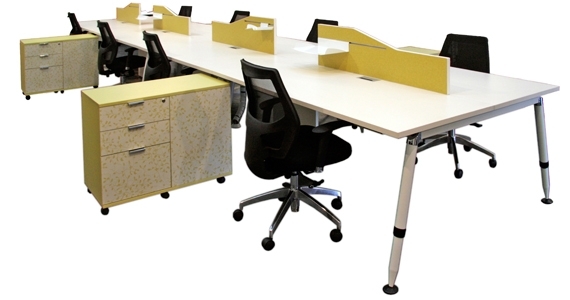 PRONTO 2 Workstation Range is a versatile desking system which has a removable cover plarte on the legs to allow cabling tobe hidden inside the Leg and fed through a Telescpoic Cable beam. This allows for all cabling to be installed into the desk system with out the need for under desk cable baskets. This also allows for the desks to be resized at a later date should it be required, with only the desk surface needing to be replaced. A very versatile feature for the changing office spaceof most businesses today, and can allow resizing to accomadate more staff if required. 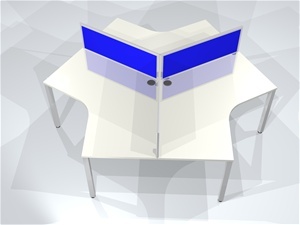 The PRONTO 2 Desking system is available in set sizes and colours and also offer a Quick Ship set sized screen panels to suit in a limited range of colours and sizes. 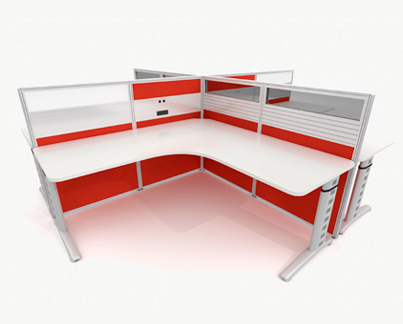 The PRONTO 2 Range can also be customised to match your office colours and finishes if required. 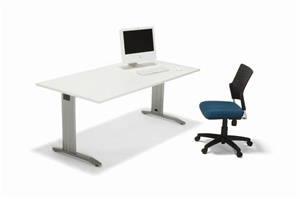 Please contact Kelly's Office Furniture for and Obigation free measure and quote to suit your individual requirements. 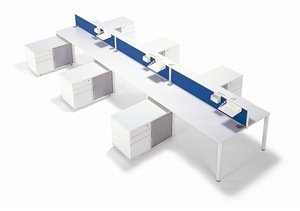 This is a modern Linear Desking/Workstation system that comes in two configurations:Back to back(Duo) each seat faces another opposite, or Single (Solo) where there is a single row of workstations and is available in many varying combinations. The frame system features stylish angled tapered legs that have up to 100mm height adjustment to suit floors and varying desk height requirements. 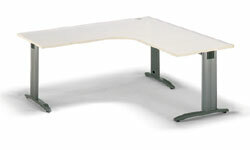 It can extend extend to make long continuous line of desks or workstations. This sytem is particularly effective if your work environment requires your staff to have a high level of interaction and conferencing. 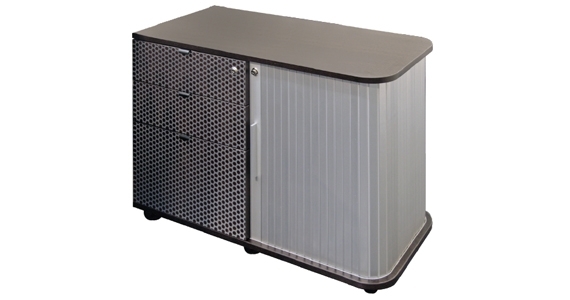 Each workstation area can be either 1800mm(L) x 750mm(D) or 1500mm(L) x 750mm(D) and features a Dual Sided Drawer Caddy which can be a shared return as well as shared storage, a great space saving tool for your office. The division screen has an intergrated tool mount for paper trays. This system is available in a wide range of Melamine and Laminate finishes that can be customised to your individual off requirements allowing for the perfect colour combinations to suit your office environment. 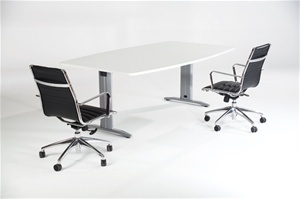 Please contact Kelly's office Furniture for an Obligation free measure and quoteto suit your individual requirements. 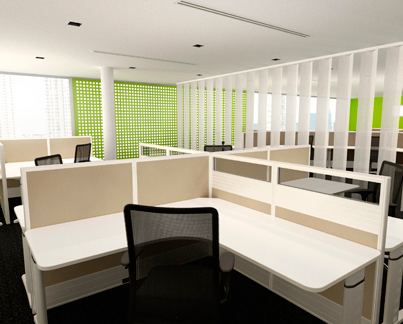 A Modern alternative for work environments. 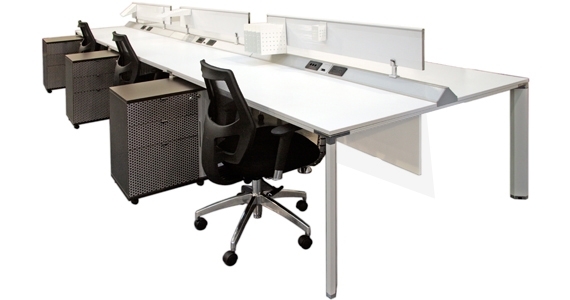 The Diamond Linear Workstations system features a distinctive angled leg frame system that provides flexible options for your modern office space. 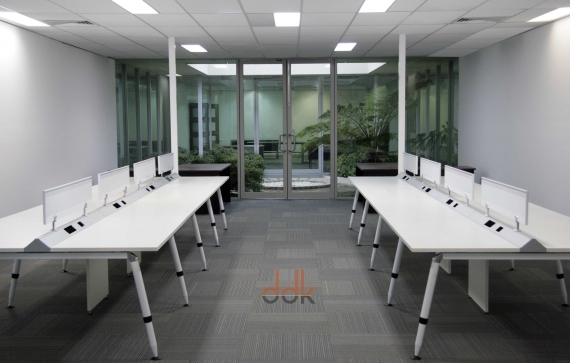 Diamond Linear workstation incorporate open plan desking, meeting rooms, executive offices, computer labs, call centres and library suites, basically anywhere there is a shared office space. 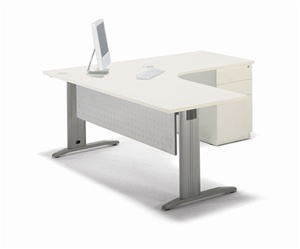 The distinctive frame design produces a very modern look, that is available in many different configurations with desk mounted integrated power and data option. 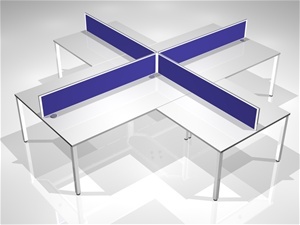 The Diamond System also offers a division screen with tool bar options taht can be customised to your office needs. 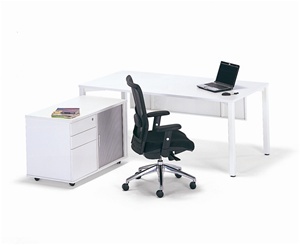 The Diamond Linear Workstation system also has a very stylish abd versatile mobile storage caddy integrating a 3 drawer unit with retractable Tambour Door storage with an adjustable shelf, which doublles as a mobile return for weach seated position. Work surfaces are available in 1800mm(L) x 750mm(D) or 1500mm(L) x 750mm(D) with a wide range of Melamine and Laminate finishes to enhance to complete Modern office design that your office space requires. 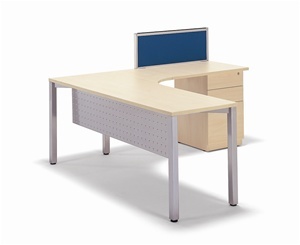 Please contact Kelly's office Furniture for an Obligation free measure and quote to suit your individual work space requirements. DIRECTION 50 & 65 SCREEN SYSTEM. The Direction 50 Screen system is versatile, functional abd affordable system to suit most work space applications. Austrailian made from the best materials, and to Australia's Stringent standards. The Directions 50 & 65 screen is 50mm(T) or 65mm(T) and is CAT 5 and CAT 6 compliant and have a choice of two different end cap options, either Square or Round. Directions 50 & 65 can be either hard or soft wired, with the ability to locate the electrical and data services either above or below worksurfaces as required. Directions 50 & 65 screens come in a varity of sizes and allow for the customised sizing of the workstations, and can have glass or perspex insert, tool bar options for paper trays, phone mounts and screen mounted shelving. Directions 50 & 65 screens can be installed in a number of different configurations to suit your work space needs, whether Corner workstation pods or 120 Degree 3way set ups or even straight desking, Direction 50 Screens can be customised to suit all office applications. As this is an Australian made screen panel System there is a vast colour palete of fabrics to choose from when designing your office space. The screen panels extrusions or frames can be powder coated to any colour adding additional design capabilities to customise your work space. With a variey of different leg options the Directions 50 & 65 screen system offers value for money as the system can be reconfigured many in many different ways to work with the growing and changing needs of your office. Please contact Kelly's Office Furniture for an obligation free consultation to discuss practical solutions for your work environment. The Connections Screen system is Australian made, with the best quality materials available, which allows for every part of the screen to be customised in colour, from the screen panel extrusions or frames to the fabric on the screens. 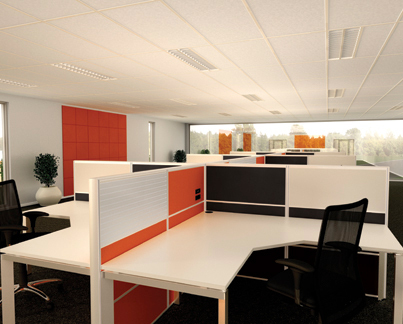 The Connections screen system is a 65mm(T) Tile based system, excellent for creating a more private working space. 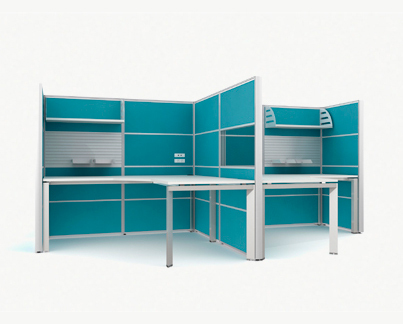 Screen panels simply connect together to create a range of different size and shape working areas. The Connection Screen system also has the ability to have different coloured fabrics on a single screen panel to create a unique colour combination for your work spaces. 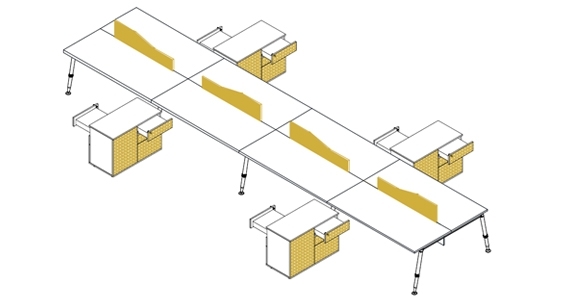 The Connections Screen system utilises the itermediate rail as the segregation between data and power with the outlets connecting directly to the screen tiles. All data cable management is CAT 5 and CAT 6 compliant. 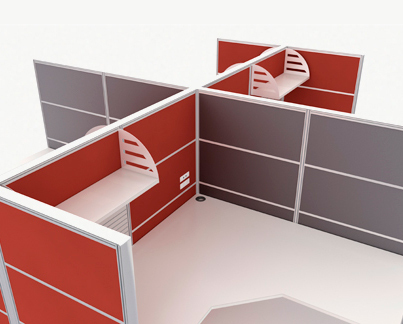 Connections screens also have two options for the end caps, either Squareor Rounded, to further customise your office design.With a variety of different leg options The Connections Screen system offers a versatile and unique office solution. Please contact Kelly's Office Furniture for an obligation free consultation to discuss the practical and affordable applications for you office space.